A ‘tadpole’ has become a new addition to Pippa’s toy collection after our visit to the fertility clinic! Since my last post unfortunately we’ve taken a bit of a step backwards. However it turns out that setback has meant we are now actually further on into knowing the reasons why. In September our appointment for the NHS community gynecology came through, and it just so happened to be on the same day that we were going to the Herts & Essex Fertility Center open evening. We went in expecting to explain our situation and hopefully be referred for the lap & dye procedure however once we had explained our situation the consultant decided to do a scan on me. It was really quite painful and I was obviously wincing at one point to which he replied “yes, I can see why this is so painful for you” and showed me a huge dark mass on the screen. That was my left ovary, engulfed in a cyst. He explained that it was called an endometrium (or chocolate cyst – don’t google that on a full stomach) and is due to endometriosis. He then showed me other sites of endometriosis in my uterus and other cysts on my other ovary from polycystic ovary syndrome. I said that I have been having pain for over a year on my left side (remember when I called 111 back in August 2017?!) and was always told it was just ovulation pain and he wasn’t surprised I was in so much pain! I’d also been having extremely painful periods lately, to the point of almost passing out and throwing up whilst picking Pippa up from school. I was so shocked and also annoyed as I’d had a scan 5 months earlier where I was told everything was fine, although she struggled to find my left ovary (along with the scan in September 2017) as it was obviously hiding behind the cyst – something she should have spotted, particularly as we paid privately for this. I was also given a blood test to test for PCOS and this came back fine so I was told I didn’t have that. When I explained this to the consultant after the scan, he said that a blood test can’t tell if you have it or not, it’s from scans and internal investigations. So what a waste of time and money that test was! To top off the news, he also said with my endometriosis and PCOS, combined with H’s motility that he would “never say never” but our chances of conceiving naturally were “very low”. He then said I would need to be referred on for a laparoscopy to remove the cysts and endometriosis and in the meantime we should start saving for IVF. I was very upset when we came out but actually it meant that we went into the open evening at the IVF clinic that night, now knowing what the issues were and that we were now likely to go down this route. The evening itself was so informative and we got a tour of the clinic and saw all the labs and a full step by step slideshow of the whole IVF process. I was set for a long wait for the surgery but I got a phone call on my birthday asking if I could go in the following week as there had been a cancellation. I’d been worrying about the wait and how much pain I’d been in, hoping it would be soon so I jumped at the chance to take the slot and I’m now having the laparoscopy later this week. I’m surprisingly looking forward to it just to be pain free and know that any cysts/endo that need to be removed will be, and we can move onto the next stage once I’ve recovered. So here’s to going forwards. Four months later and we are still not much further with our quest for number two. In this time I have continued to see my private gynaecologist on a number of occasions and had various tests. My bloods for progesterone were repeated and came back ok in that it was likely I ovulate and a scan of my uterus showed my lining had improved which is something I had been really working hard to do with lots of supplements and diet changes. The only problem now was my late ovulation and short luteal phase which basically means after I ovulate I start spotting 8 days later and my next cycle starts 10 days later meaning my progesterone drops very quickly after ovulation. Considering an egg doesn’t implant until about 8-10 days past ovulation, mine don’t really have much of a chance. The next step was then for H to undergo tests and myself to have a laparoscopy and dye test to check that my tubes weren’t blocked. As we are using medical cover for this, our budget is not very big so we both went to our own GP’s with this. After some convincing, H persuaded his GP to allow him his tests on the NHS and my private gynaecologist wrote directly to my GP to ask for me to be transferred to her patient list on the NHS for the procedure. I had to chase this myself some weeks later and the GP has now sent a request to the community gynaecologist so we are awaiting the outcome of this. In the meantime we discovered there are problems on both mine and H’s side and IVF is really the only solution. So currently we have an appointment with Herts & Essex Fertility clinic next month to look at our options and find out a bit more about the processes. To add to this, we are edging ever closer to our wedding which is in 10 months’ time, (planned with the assumption we would have completed our family by the time we got married) so timing isn’t perfect, however here’s to hoping a new family member will be there in my tummy instead. Over the last few of months it seems we have put all of the baby phases behind us and have taken the next step into ‘big girl’ territory and as much as I thought it would be hard and Pippa would struggle, it has been the complete opposite! In January we made the decision to move Pippa into a ‘big girl bed’ and took the sides off of her cot. We had been talking about it for a while but I wasn’t ready as it meant she wasn’t a baby anymore! However on a whim one Saturday we took the plunge. Pippa absolutely LOVED it and showed anyone who entered the house her new ‘big girl bed’ and got in it at every opportunity. She had been out of her sleeping bags and been using a pillow and duvet for a while in her cot so this helped the transition I think. Besides the worry of her falling out in the night (we had a bed guard for that) our biggest concern, as is everyone’s when moving from a cot to a bed, is the getting out at night and in the morning. Pippa has always slept with her bedroom door closed so we decided not to change this or add a stair gate and continue to shut her door and keep the stair gate at the top of the stairs. However the funny thing is, she still to this day has not got out of bed until one of us goes in in the morning to get her up! At Easter we took the second plunge, removing her dummies. We had planned to do it at Christmas with Father Christmas taking them but the thought of having sleepless nights and tantrums over Christmas made us change our minds, and I’m glad we did. We hadn’t allowed Pippa her dummies in the daytime except for naps for a long time and as she was no longer napping she was only having them if she found them in her bed upstairs but would often make excuses to go upstairs just to get them. However as time went on she actually wasn’t even asking for her dummies or if she saw them wouldn’t take them so we started to put them away in the daytime and she wasn’t bothered. Night time however was a different story and she went to bed with two every night, asking for certain coloured ones and if she lost them in the night would cry out for one of us to go in and give her them. But we knew they had to go so prepared ourselves for a week or two of sleepless nights. For about a month before we started planting the seed and telling her the Easter Bunny would be taking her dummy’s to give to babies and because she was a big girl now, she would get chocolate from the Easter Bunny instead. When the time came around she was well aware of what was going to happen, telling everyone! We had a little countdown of ‘three more sleeps, two more sleeps’ etc. and then on the night, we got her a little basket which she willingly put all her dummy’s in for the Easter Bunny. We left the bag outside her door (in case she went and retrieved them from the basket in the night!) and off she went to sleep! She shouted “where’s my basket!” a couple of times but after reassuring her they were outside her door, ready for the bunny to collect, she was fine! We couldn’t quite believe it! The next morning she was so so excited to see if the Easter bunny had been and when she peered in her basket where she had left her dummy’s to find chocolate, she was amazed! And the rest (dummies) was history. 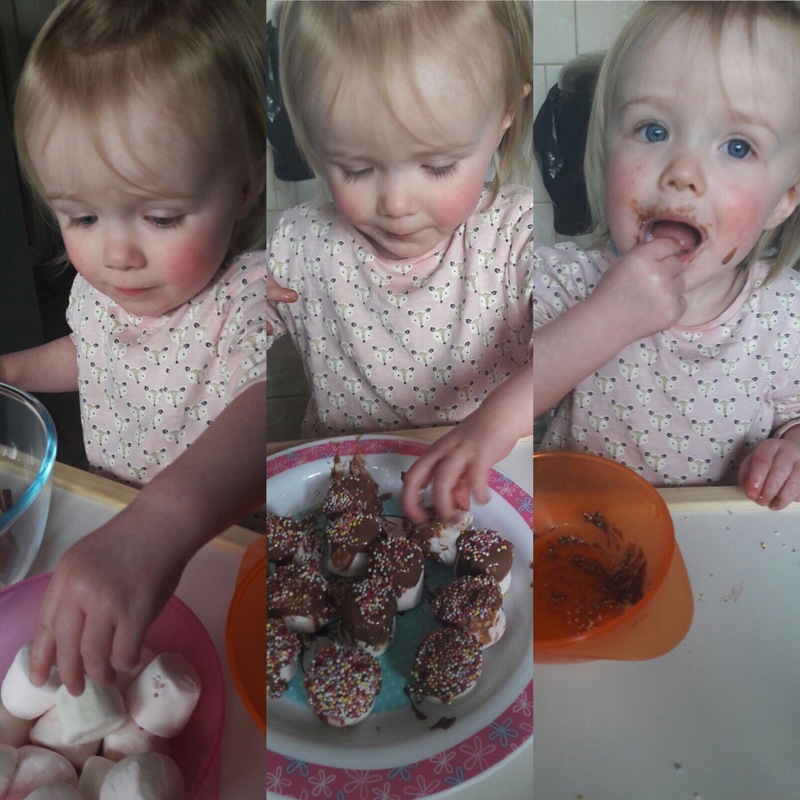 I was expecting her to be asking for them constantly but she didn’t at all, not even at bedtime and was going to sleep just as easy as she usually did so we have been very impressed! We have also now been nappy free for a whole year! During the last couple of months Pippa has also decided to stop using the potty and now uses the toilet and all by herself too which means no more cleaning out potty’s (thank god!). She had also been taking her own potty into nursery with her every week. They have kids toilets and potty’s there but Pippa being Pippa, she had to have her own with her. Well the last month she has decided she also no longer needs to take this with her and has been using the ‘big girl’ toilets at nursery by herself. Hurrah! As much as I miss her being a baby, seeing her so independent is great, and I love that she now tells me she loves me and I’m beautiful, who doesn’t! If that isn’t going from baby to big girl, I don’t know what is! I’m very pleased to say that we have now been nappy free for a whole 2 months! Although there are still definite perks of still having a toddler in nappies, I think the benefits of now having gone through the potty training and come out the other side outweigh those perks! Pippa was 21 months when we decided to take the potty plunge which may sound very young for some people but those who know Pippa will know she’s got a very big vocabulary and therefore seems quite grown up for her age. She had been using the potty around the house for about 3 or 4 months with no problems and even requesting to get out of the bath to wee on the potty or toilet. So one sunny day in May we left her nappy off in the garden and took the potty outside. She didn’t have any accidents all afternoon and told us when she needed a wee or headed off to the potty herself. It was then we thought, with summer coming up (and therefore more outside, less clothes time) we may as well go for it. My first stop was Amazon where we purchased another potty for upstairs, a training seat to go on the toilet (so she won’t fall down ha!) a Koo-Di car seat protector, a Potette Plus (more on those later) and a Princess Polly potty sticker book. Pip enjoyed reading the book and sticking the stickers in the right place but I don’t think it actually made any impact on her potty training so that was maybe a waste of money but the other things are great. I also researched where to buy the smallest knickers as Pip is currently in 9-12 month leggings at almost 2, so I needed her new knickers to stay up (we already had problems keeping her leggings up now there was no nappy!) – Primark came up tops and we stocked up. I chose to go completely cold turkey with Pippa and completely take away the nappies except for nap time and night time. I didn’t want to confuse her with pull ups and actually when we put a nappy on her for bed she would still tell us if she needed a wee and would ask for it to be taken off for her to go on the potty rather than in her nappy so she definitely understood. I also picked to start on a Friday so that we had 4 relatively free days at home to really kick the potty training off. It actually turned out that the day we started we met up with friends at a splash park but Pippa was brilliant and using the potty all day! The one accident we did have was in the car when she announced she needed a wee and I was struggling to find a parking space! Unfortunately I found one a bit too late and Pip had done a small wee in the car but then continued it on the potty once we had parked. What saved the day here though was the Koo-Di. It’s simply a seat pad with a waterproof backing that soaks up any wees and protects the actual car seat so you just wash the seat pad rather than having to wash the entire car seat cover. The following day we also ended up at the 5 star Grove hotel in watford (very posh) for brunch and once again, Pippa was great. The second day I opted to take the Potette with us as we would be inside for some of it. It’s the most brilliant product as it folds down to fit in a bag and folds out into a potty which you then put plastic bags over with a kind of sanitary towel stuck in them which soaks up anything. Then once the child is done, it’s all bagged up! The legs also flip outwards to turn into a seat to put on a toilet for the child. Honestly the best baby gadget I’ve ever bought and we use it EVERYWHERE. However as you can see, we actually ended up having a very busy weekend and obviously we had a few accidents but overall it was fine so don’t feel you need to lock yourselves away for a week in order to train your child, there’s no need and besides it’s when you’re out and about which is the real challenge anyway! We also ended up going away to Center Parcs about 2 weeks in and as we were so busy we occasionally forgot the Potette but Pip was fine using a normal toilet (with one of us holding her!) for both number ones and number two’s – which luckily were also never an issue for her to do on the potty. The only major issue for us has been, as always, nursery. From the start Pippa would not tell anyone that she needed a wee or take herself to the potty (which is in a separate baby changing room which is shut – also a slight problem) and just wets through all her clothes. 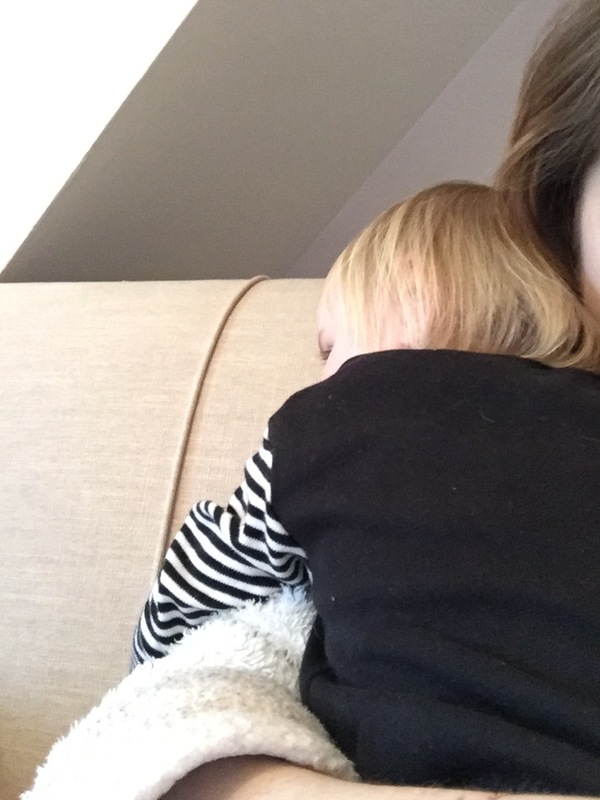 Nursery approached us and thought she wasn’t ready and to maybe introduce pull ups but with her being so good at home I didn’t want to take a step backwards. Instead we started bringing in her own potty from home which has made a slight difference and she will successfully use it sometimes at nursery. However on most occasions she wets herself and I’m still having to pack 7+ changes for her every day she’s there. She even did a poo in her knickers the other week which I was totally shocked about as she has never done that before. We are still trying, and she’s getting better and has had two completely dry days at nursery so there is progress. We’re hoping when she moves up rooms once she’s 2 that with lots of other children doing it and small toilets she will hopefully start going at nursery as well as at home. As Pippa was obviously ready for potty training we didn’t have too many accidents and these have got less and less along with the time she can now hold her wee’s for. Now, 2 months in we mostly have dry days with the odd couple of small accidents when she’s busy playing or doesn’t get to the toilet in time. Her accidents are usually a little dribble and she will then do a big wee on the potty once we put her on it. She also now takes herself to the potty (we keep it in the toilet downstairs). We are by no means completely dry but the amount of spare pants I now pack are decreasing and i’m very glad we have done it early, if not simply to avoid doing it in the winter! Over Pippa’s 20 months in this world, she has in fact done quite a bit of travelling. At 9 months old we took her to Gran Canaria, at 11 months we took her to Santorini and at 19 months we took her to Cyprus and each involved a lot of planning. As we have travelled so much with Pippa, I’ve been asked by lots of family and friends for advice, so I thought I would write down my top tips for travelling with a baby or toddler! As Pippa has got older and the more we have travelled, the less I’ve panicked about it but the first holiday definitely required the most planning. As babies don’t get a seat on an airplane until they are two and with it, a luggage allowance, packing is a challenge, and as we all know babies have THE most stuff! We opted for using our two large suitcases for our own clothes and one of our hand luggage allowances for a cabin suitcase for Pippa and the other cabin luggage as a joint rucksack. However the nappies we shared across everything as there was just so many! Having a baby who was still having milk 4 times a day as well as 3 meals, I didn’t know where to start with what to pack food wise for her, let alone how much space it would all take up of our minimal luggage allowance! With Pippa being formula fed, we usually used the powder but as this would mean sterilising water whilst we were away, on top of sterilising the bottles, we decided to take the pre-made 7oz cartons of formula. Now for those who haven’t worked it out, 4x 7oz cartons of milk = a lot, so we decided to pre-order it, along with some Ella’s pouch meals and fruit pouches, to the Boots at the airport terminal. This meant that we didn’t have to use up our precious luggage and weight allowance and as we were collecting once we had gone through security, there were no issues. Harry then filled up his (rather heavy) rucksack with the goods and away we went! Flying seems to be the biggest worry but on all of our trips I’ve actually found the flying part fine! (up to 4 hours anyway!). On all of our trips I have packed Pippa’s bottle of milk, a cup of water and some food into a separate little bag inside my own so that when it came to security I could easily lay it all out in the tray without a faff. The security staff then call you to one side, scan everything and check it and give it straight back. Travelling with a baby or toddler also means you get a bit of preferential treatment, getting to go through a separate security for families and early boarding (I’m not sure that’s a good thing though!) and obviously you are allowed to take your buggy right to the gate. Playing on the plane floor! On the flight itself Pippa has always been great and happy to sit on our laps and play or sleep. I think people often think ‘oh I must get the baby to sleep on the plane!’ however I found when she slept the hardest! It meant I couldn’t move the entire flight and that meant I was so uncomfortable. Obviously some flight times can’t be helped and if its night time its night time but I definitely prefer a daytime flight with a baby/toddler, maybe with an hour nap squeezed in! We took a bag of toys to keep Pippa entertained each time and now that she’s older it was actually easier to keep her entertained. We bought a few books and this water magic colouring book which kept her entertained for a good while and can be used again and again. We also uploaded some of Pips favourites to the iPad but surprisingly we didn’t use it as much as I thought and only used it to settle her down for a sleep. We also found that on the holidays where the time difference was 2 hours ahead, we kept Pippa to UK time so she could then eat dinner with us at 7ish (5ish UK time) and could stay up until 9 for a little play (or boogie – on two occasions we were at weddings!) when we were out before we put her down to sleep in the buggy. It also meant she would wake at 8am rather than 6am – giving us a little lie in! We had always bought spray suncream for Pippa, in particular the Nivea one that comes out blue so you can see where its going and ensure everything is covered. However it always ended up in a bit of a mess and clothes being coloured blue or coated with suncream. That was until our most recent holiday I discovered the aerosol spray suncream! It’s SO much easier to spray all over a wriggly baby or runaway toddler and its mist like quality is cooling too! It may sound silly when you’re likely off to somewhere where you’ll be sat by a swimming pool all day, however we found a little paddling pool was a great way to keep Pippa out of the sun and cool as we could position it under our sun shade wherever we were sat. It also kept her entertained for ages and she was able to play in the water safely without us worrying she’d fall in the giant pool whilst playing at the waters edge. As mentioned, baby’s come with lots of equipment and knowing what and what not to bring is key. Firstly we invested in a good buggy. 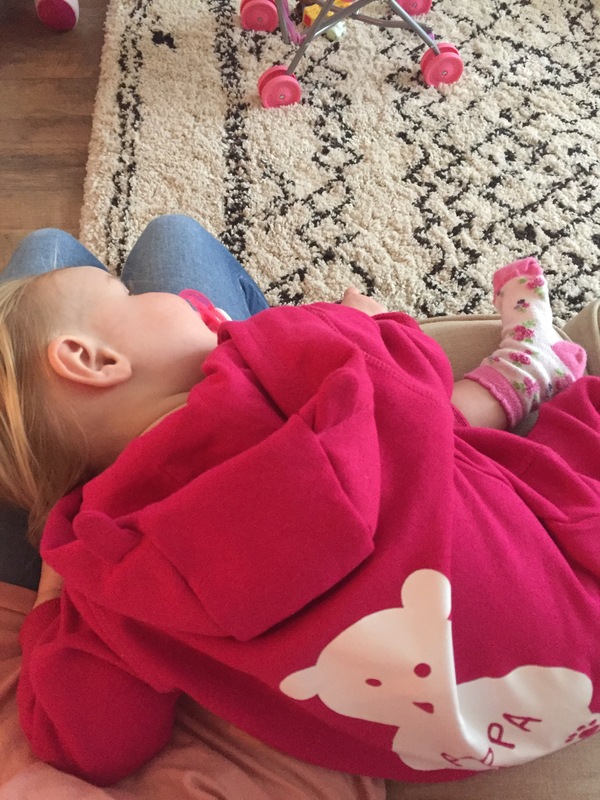 We opted for the Silvercross Pop as we wanted something that reclined right back for her to be able to sleep flat in for naps and evenings when we were out for dinner and the Pop was the flattest I’d ever seen a buggy go! It also came with a UV protected hood that pulled fully over the pram so Pip was completely covered, not only for the sun but also general wind/noise around her. And of course it was lightweight and folded easily – very important! Before we bought the buggy we had also bought a SnoozeShade, it’s universal to fit any pram or buggy and blacks out the sun and light but allows air in and out so doesn’t create an oven underneath – I would definitely recommend. Something similar we always bought with us but never had to use due to the hotels having blackout shutters, was the Gro Anywhere Black Out Blind. It’s essentially a giant stick up black out blind that packs down very small so is perfect for blacking out a room when its baby’s bed time if needed! For our holidays when Pippa was under one and we were still sterilising we used travel sterilising bags rather than lugging our entire sterilising equipment with us, especially as it required a microwave and we weren’t sure what the hotel facilities were. With the bags we just filled with water and added a sterilising tablet. I think it took about 1hr to sterilise but you could keep everything soaking in the bag until you needed it. The only issue was the smell from it was rather strong and toxic so we had to keep it in the bathroom or near an open window. However my all-time favourite holiday/travel purchase for babies and toddlers is the Travel Grobag by The Gro Company. We bought a 1tog one last year for the really hot holidays and this year we bought a 2.5tog one as it was a bit cooler in Cyprus so early in the year. The genius thing about them is that they have an opening at the back and a two way zip at the front to allow it to be used with a 5 point harness. This meant we were able to put Pippa to sleep in her bag and strap her into the buggy to go to sleep when we went out in the evenings, then once we got home we could transfer her to her cot without waking her or taking her out of the bag. We also used it when travelling to and from the airport when transferring Pip from her cot to the car. Hopefully that covers most things, we certainly found that doing and using the things I’ve mentioned above definitely helped make travelling with a baby or toddler easier and hopefully it will help you too! It has now been a month since Pippa started nursery properly and I’d love to report back that she’d having a great time but unfortunately I can’t. She cries hysterically when I drop her off and will not let the nursery staff put her down without her crying, meaning she is being carried around all day or on their laps. Apparently she clings to whoever I hand her over to in the mornings so she’s not actually attached herself to one person but seems to trust whoever I’ve left her with. She also hates any change so hates going out in the garden or into any other room. During her first week she was in such a state whenever I picked her up, it broke my heart to think she had been that upset all day. She was trying to catch her breath from crying so much and had even lost her voice on one occasion. As a result, Pippa has also become SUPER clingy to me like never before. I even had to get into the bath with her on a couple of occasions and she would ask for me a lot when at Granny’s which she never would before. She also stopped napping altogether and waking early crying for me and to come into our bed as she didn’t want me to leave her. On speaking to the staff they just said they couldn’t give her the attention she needed all day so they had to leave her crying. Understandably they need to go on lunch but that would really upset Pippa. I sent emails to the manager with no responses and whenever I called to check on her they either didn’t know who she was or didn’t seem very bothered. On one occasion it took H over an hour and a half to get through to them on the phone. This week she has been ill so hasn’t gone in at all and I forgot to call until gone 12 on one of the days to say she wasn’t coming in but they hadn’t even noticed. Overall we really aren’t impressed with the nursery at all but I just can’t go through moving her again. With the childminder I didn’t worry at all about her all day but whenever she’s at nursery I just find myself worrying all day and hate the thought of her there and have got very upset at work a couple of times over it. So much so we decided she was only going to go there for the bare minimum. I decided I would change one of my working days to a Saturday so that Harry could have her and although it would mean our weekend time together as a family was reduced, at least I knew she would be happy with Daddy, and a day less at nursery. Both H and I’s parents could also see that nursery really wasn’t good for Pippa (or us for that matter), and since my decision to work Saturday’s, Harry’s mum offered to do one day a week. With my mum also doing half a day it meant I no longer had to do work Saturdays. So Pippa now only has to do 1.5 days at nursery, which although isn’t ideal, I’m hoping she will eventually get used to it and she’s doing the bare minimum we can manage. Today was Pippa’s first day with Nanny and for the first time in a very long time Pippa didn’t make a fuss or cry when I left for work, just got up and gave me a hug and kiss and said goodbye. I’ve never felt so happy. She’s definitely having a great time too by the photos I’ve been receiving and I can actually now relax at work…for 1.5 days at least!